Planning your travels is easier than you think. Getting you from A to ‘All Right’ is easy. Especially when we’re right here for you from the moment you think of your holiday, ‘til we wave you goodbye and say, ‘see ya soon.’ We’ll advise you on all you need to get the Jamaican experience you’re after. How Do I Get To Jamaica? There are three international airports in Jamaica: Sangster International Airport in Montego Bay, Norman Manley International Airport in Kingston, Jamaica’s capital city and the Ian Fleming International Airport in picturesque Ocho Rios. Find out more here. What Currency Should I Use During Carnival? Here in Jamaica we use the Jamaican dollar as our currency. Licensed cambio centers and commercial banks are accessible in all resort areas. The official currency exchange rates vary daily, so it’s advisable to shop around for the best rate before converting your cash. Most Jamaican ATMs accept international bank cards with Visa, MasterCard, Cirrus and Plus logos. Banks also give credit card advances, change traveler’s checks among other financial services. What Are The Entry Requirements For Visiting Jamaica? Visitors traveling via airlines can go to www.iatatravelcentre.com to review travel document requirements. Where Do I Get Carnival Tickets? Carnival fetes are happening all season long! Get tickets for each band fete via their respective websites. You can also get links to more information for other season events via our Events Calendar. Where Do I Stay For Carnival? When And Where Do I Get A Costume? Each band features their own top notch costume designers creating exquisite works of art for you to wear down di road. Visit their respective websites via the Carnival Bands for more information. How Do I Get Around From Event To Event? How Far Are The Carnival Events From My Hotel? Events on the carnival calendar are centrally located in the business centres and surrounding areas of both resort areas. Public transportation, taxis and car rentals are available to transport revelers to and from their accommodations. Will I Be Safe At Carnival Events? Each band and event organizer is required to ensure that security measures are established at their events. 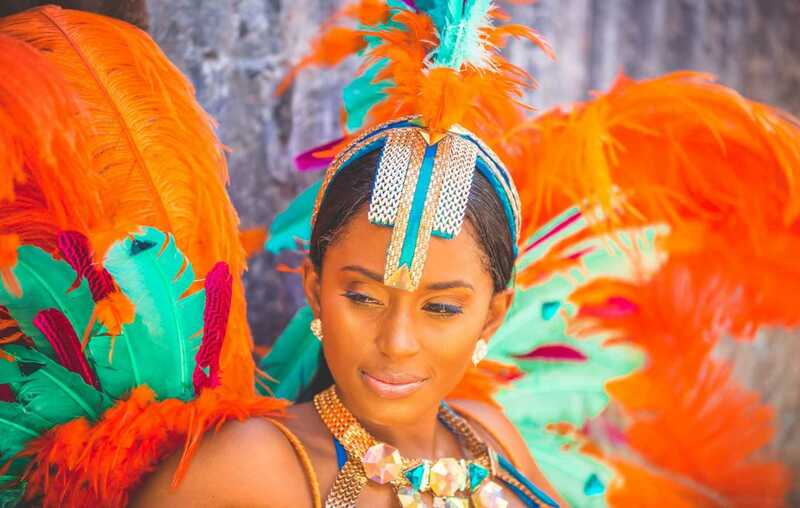 Rest assured that security personnel are in place at carnival events throughout the season. Where Should I Go To Eat In Jamaica? What Can I Do After Carnival?